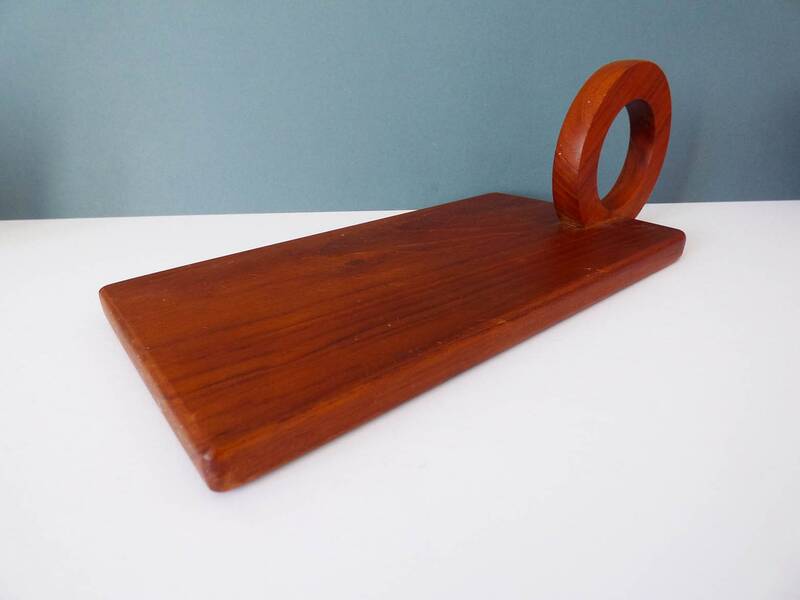 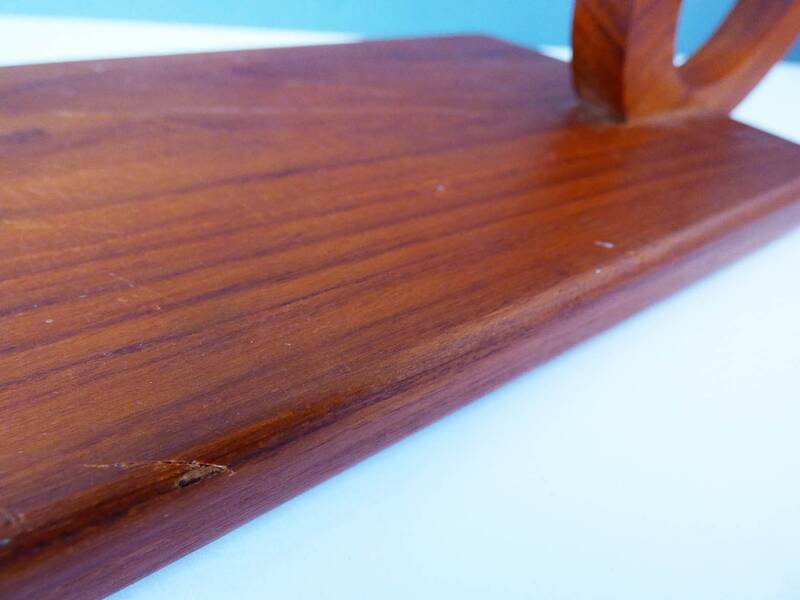 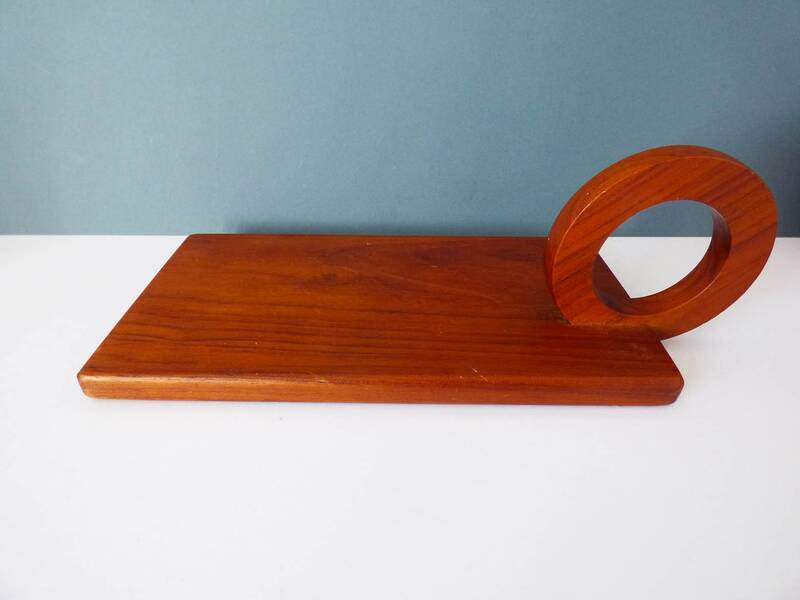 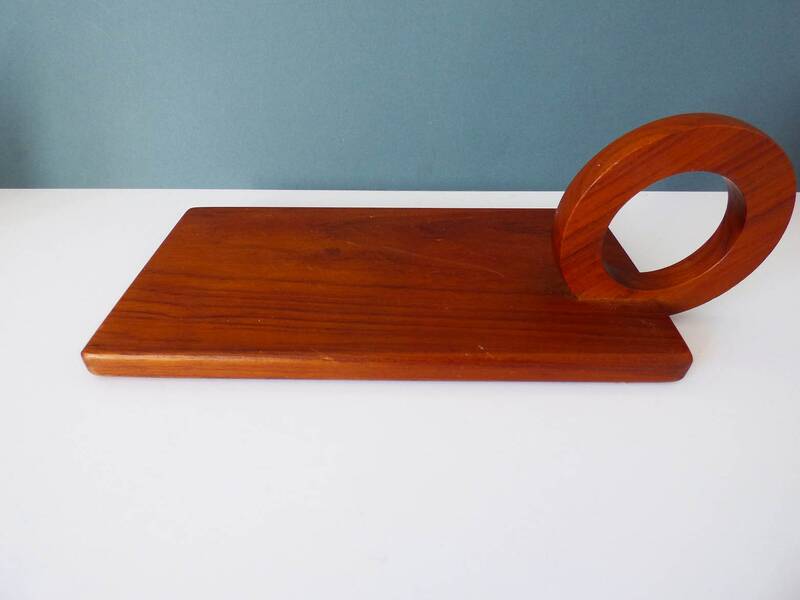 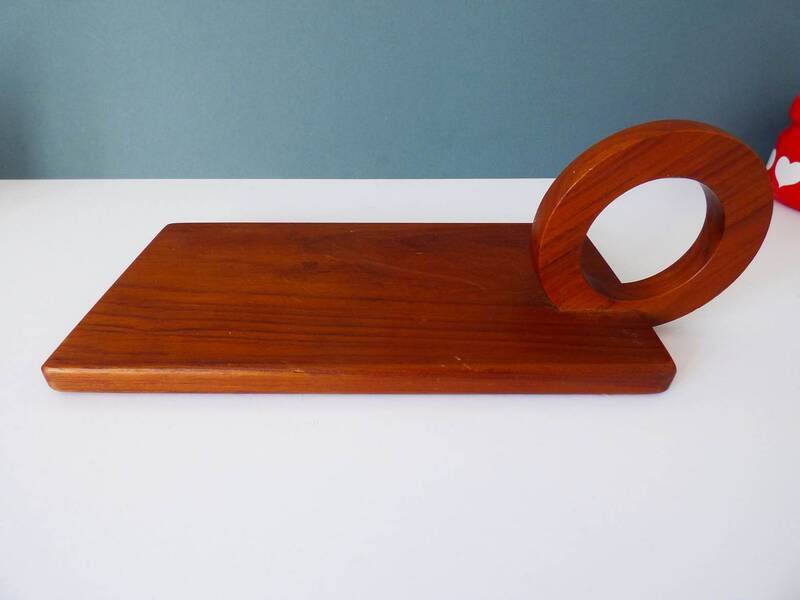 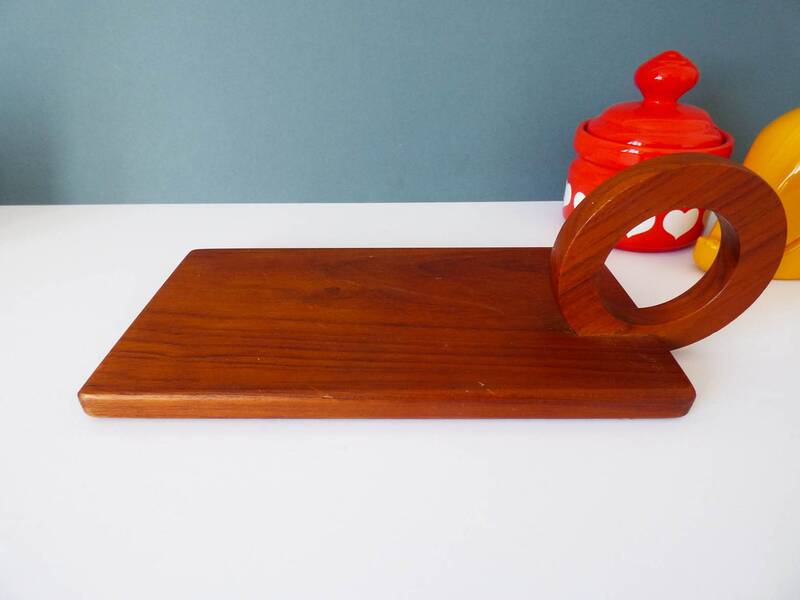 Absolutely gorgeous vintage chopping board, created from teak, and originally from Denmark, the board features an unusual circular shaped handle, which fits snuggly to the teak base. 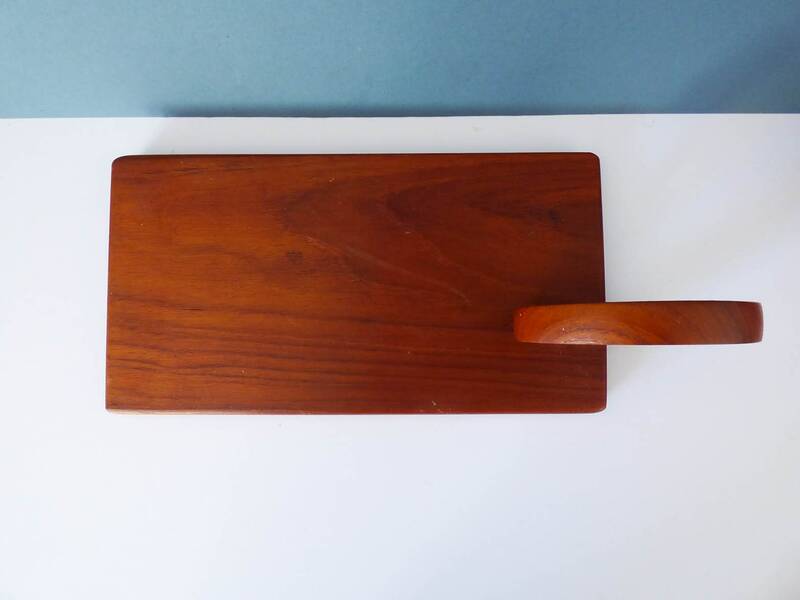 The board is perfect for cutting lemons and limes for drinks, or as a herb board or cheese board. 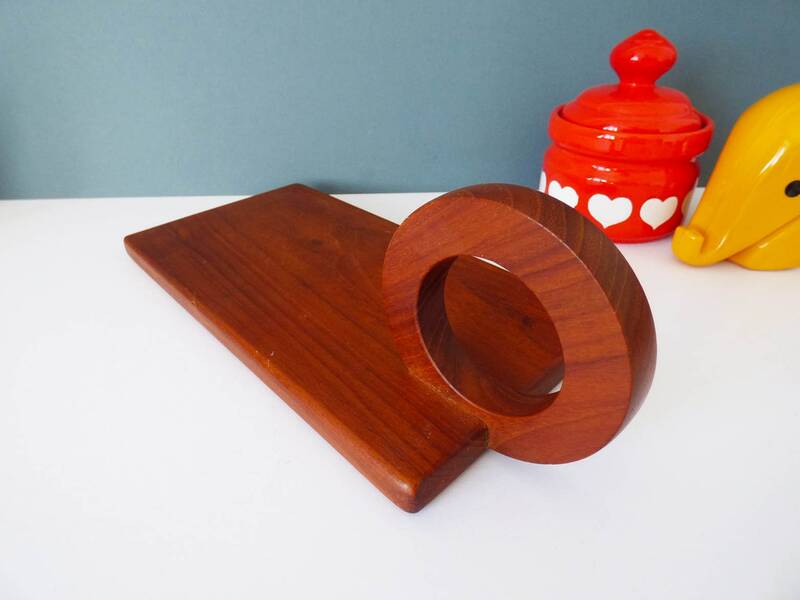 An Iconic Danish piece which is sure to add a touch of Scandinavian style to your dinner table. 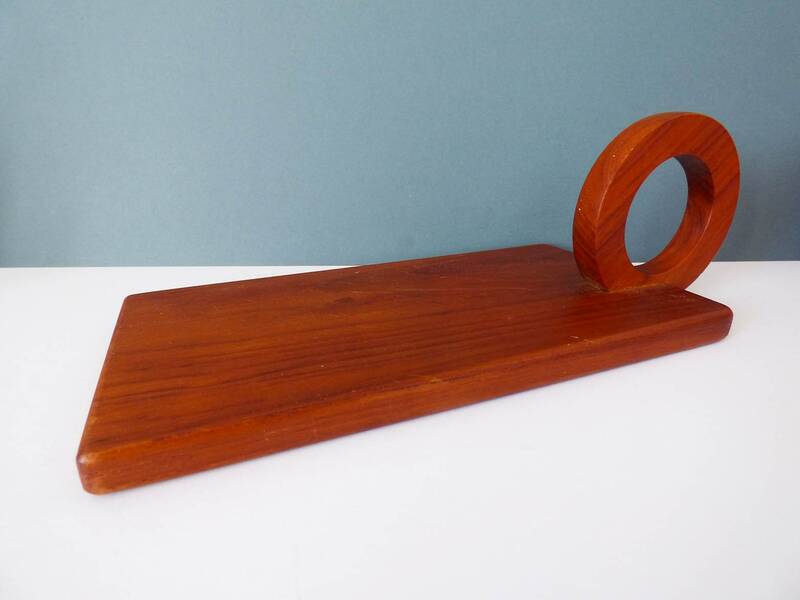 The base measures 25 cm in length x 13 cm wide, the wood is 1.4 cm thick. 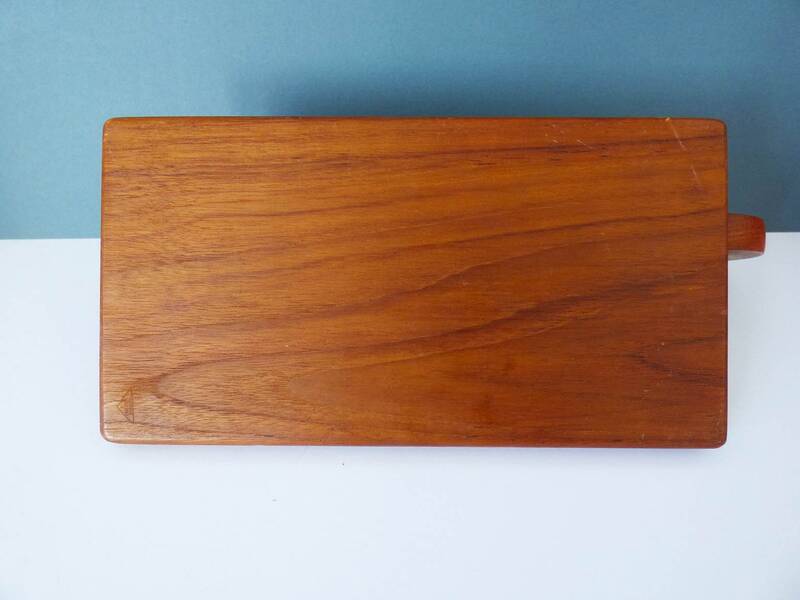 The condition is good, although there are some light knife marks to the wood from cutting.